A 49-year-old man murdered his wife and four daughters when he set fire to his home as they slept, an inquest heard. Caneze Riaz, 39, and daughters Sayrah, Sophia, Alicia and Hannah were trapped as the fire swept through their house in Accrington, Lancashire, last year. 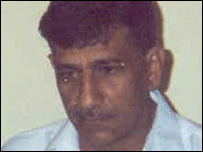 Mohammed Riaz suffered 65% burns in the blaze and died two days later. Blackburn coroner Michael Singleton recorded verdicts of unlawful killing for Mrs Riaz and her daughters and a verdict of suicide for Mr Riaz. 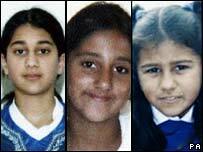 Post-mortem examinations found that Mrs Riaz and her daughters - Sayrah, 16, Sophia, 12, Alicia, 10, and three-year-old Hannah - died from smoke inhalation. Relatives and friends of the family told police a rift had developed between Mr and Mrs Riaz, the inquest heard. Mr Riaz, a conservative Muslim, disagreed with his wife over her determination to bring up their children with Western lifestyles. Det Supt Mick Gradwell, of Lancashire Police, told the inquest there was no doubt Mr Riaz intended to kill his family. The doors of the house were locked from the inside. Senior fire investigator Stephen Kennedy agreed, telling the inquest the fire was "most likely" to have been started deliberately. Mr Riaz poured petrol and accelerant along the first floor landing, down the stairs and into the living rooms. The fire started in three places upstairs, and was focused in the doorway of Mrs Riaz's bedroom, where she was asleep with Hannah. The inquest heard that her DNA was found on a petrol can at the back of the bedroom, suggesting she woke up and tried to move it before being overcome by fumes. Her body was found next to the bed, beside the can and the bed where the body of Hannah lay. The other girls were found in their beds. Recording his verdicts, Mr Singleton said: "With respect to the four girls and Mrs Caneze I am satisfied that the injury that caused their deaths was the inhalation of the products of combustion." Referring to Mr Riaz, he said his cause of death was severe burns and the inhalation of the products of combustion. He said: "I am satisfied that on November 1, 2006, while at his home address, Mohammed Riaz started a fire at those premises, making no attempt to leave. "I am satisfied from the evidence I have heard, and beyond reasonable doubt, that in acting in the way he did Mohammed intended to bring about his own demise and he killed himself." Speaking after the hearing, Barry Khanan, Mrs Riaz's brother, said he was pleased with the inquest outcome. "I am glad that this is now over and we can move forward," he said. Mr Gradwell said outside the court that had Mr Riaz lived he would have been prosecuted for murder. "I am confident we would have got a conviction," he said.